Ten years ago there were only a few hundred Jewish Christians in Israel. Today that figure is over 10,000 and the number is growing rapidly. Some of the leading Messianic believers are starting to look to the future and turn their attention to passages in the Bible that talk about the role of Israel in the future being a light to the world. A number of Jewish believers are emerging who are passionate, fearless evangelists. The stories told in this book feature some of those who are turning their attention to the Arab world in particular. Who are these people? How are they going about their 'mission' and why are they so passionate to share their faith in the God of Israel with Arabs? Julia Fisher is an experienced journalist and broadcaster, most recently with Premier Radio. She visits Israel several times a year, and speaks widely on this subject. Her most recent book was 'Future for Israel? '. 4. 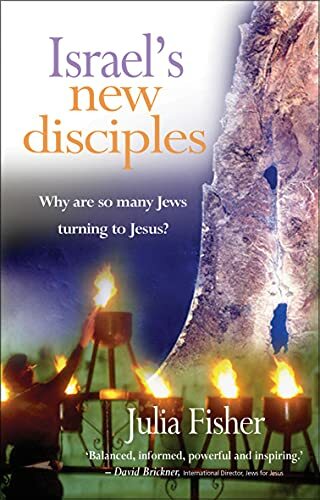 Israel's New Disciples: Why are so many Jews turning to Jesus?